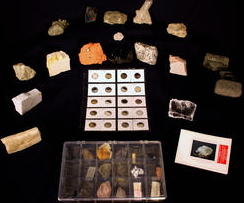 The Field Museum has many learning programs that address geology, fossils, rocks, and minerals for every age group. 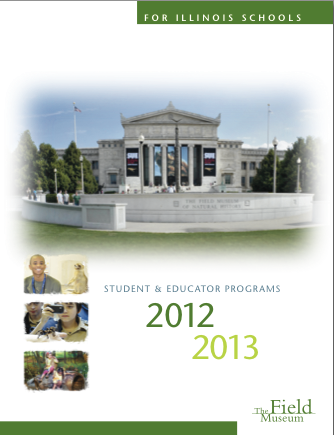 To learn more about educator workshops, student internships, and other opportunities, please see our Educator Programs. For information on events and activities for families, please visit our Family Programs page. Rocks and minerals are the solid substances that make up Earth—and meteorites. Just like all matter on Earth, rocks and minerals are part of a constantly shifting system that cycles through changes, in this case, the rock cycle. In this experience box, students will observe samples of rocks and minerals to investigate physical and chemical properties, explore how these substances change over time, and analyze the way humans use rocks and minerals. 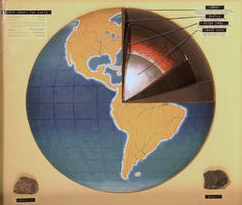 Dig underneath the Earth’s surface to get a glimpse of the great stratification found there. Examine the surface and notice how much denser and more compact the inward layers become. These same forces are at work in asteroids and other planetary bodies. Dig in ... Dress up... Explore and grow! The Field Museum is pleased to present the Crown Family PlayLab, an early childhood learning center for pre-K-2 students. Young adventurers have the chance to explore the Crown Family PlayLab! Students can put on animals costume to crawl, hop, or fly! From digging up dinosaur bones to grinding corn in a Pueblo, to handling real specimens of rocks, minerals, and more, little explorers can choose from an endless variety of activities.